A prosecuting witness and compliance officer at GTB, Kayode Temitope Olanrewaju, yesterday told Justice Mohammed Idris of the Federal High Court in Lagos how former Senior Special Assistant to former President Goodluck Jonathan on Domestic Affairs, Waripamo-Owei Dudafa, allegedly laundered N270.7 million through the bank account of a restaurant in 2013 and 2015. 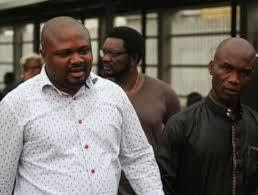 Dudafa was arraigned for the offence by the Economic and Financial Crimes Commission (EFCC), alongside Joseph Iwuejo and four companies. According to him, the N270.7 million was transferred to DJakes Fast-Food and Restaurant’s GTBank account in several instalments. He said on March 18, 2013, N63.2 million was transferred in installments of N3.2 million and N20 million in three tranches. N20 million was transferred to the restaurant’s account by a firm, 313 Bureau De Change in January 2014. One Abubakar Murtala Bashir credited the same account with N79.2 million on January 26, 2015. In another instance, the witness stated that N88 million was paid into the account by Danbazau Global Limited and Bambura Global Company. Danbazua Global Limited paid N20.3 million into the same account on January 30, 2015. Under cross-examination by defence counsel, Mr. Gboyega Oyewole and Sunday Abumere, the witness informed the court that DJakes Fast-Food and Restaurant’s GTBank account was opened in 2007 in Yenogoa. Another prosecution witness, also a compliance officer, Mr. Adeniyi Tunde, testified that both accused persons ran the accounts in a manner that ran contrary to banking regulations. Justice Idris adjourned till December 8, for continuation of trial.